COLUMBUS, OH — Jazz Arts Group of Columbus (JAG) presents the Columbus Jazz Orchestra (CJO) in a program titled “Redefining Tradition: Ellington, Basie & Beyond,” Thursday, October 22 – Sunday, October 25 at The Southern Theatre (21 East Main Street). “Redefining Tradition: Ellington, Basie & Beyond” is the first of the CJO’s 2015-2016 Swingin’ with the CJO series at the Southern Theatre and features a trio of powerhouse guest soloists – jazz violinist Christian Howes, Emmy Award®-winning pianist Dave Powers and saxophonist Shawn “Thunder” Wallace. Tickets start at just $25 and are available at the CAPA Ticket Office (39 East State Street), all Ticketmaster Outlets including Kroger Stores, by phone at (614) 469-0939, (800) 745-3000, or online at www.ticketmaster.com. The Jazz Arts Group’s Swingin’ with the CJO Series is sponsored by The Westin Columbus. The Artistic Director Chair sponsor is Ann & Tom Hoaglin. Each of the four performances of “Redefining Tradition…” culminates with “CT Suite – Three Portraits in Blues,” a newly commissioned, world premiere work celebrating the life and legacy of jazz great Clark Terry. 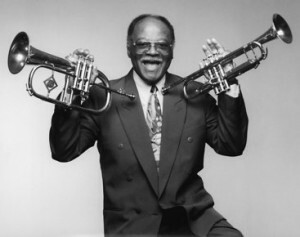 A frequent collaborator with the Columbus Jazz Orchestra and an internationally recognized performer and music educator, Clark Terry earned his estimable reputation as a jazz master while playing trumpet and flugelhorn in the big bands of both Count Basie and Duke Ellington before forming his own internationally renowned ensembles. WOSU Public Media and JAG are collaborating to make this world premiere composition, along with the entirety of the concert, available worldwide through a live simulcast Saturday night, October 24. The event will then be available for another six months for on-demand viewing on WOSU Public Media’s website, www.wosu.org. Live streaming is a service provided by WOSU Productions, WOSU Public Media’s creative services agency for radio and television production. Viewers will go to wosu.org and click on a graphic on the homepage of the website to access the free, live streaming event. The live simulcast will give online users the same experience as if they were at the concert, with the convenience of watching at home or on their mobile device. An archive of “CT Suite – Three Portraits in Blues” will be available for six months after the concert through a dedicated link on wosu.org and jazzartsgroup.org. “CT Suite – Three Portraits in Blues” has been composed by a triumvirate of highly respected composer/arrangers: John Clayton, Chad Eby and Dennis Mackrel. Collectively they have performed, arranged and composed for a roster of music’s biggest names and most prestigious organizations including Monty Alexander, the American Jazz Orchestra, the Amsterdam Philharmonic Orchestra, Charles Aznavour, Tony Bennett, the Carla Bley Big Band, Dee Dee Bridgewater, Regina Carter, Bill Charlap, the Count Basie Orchestra, Whitney Houston, Jazz Orchestra of the Concertgebouw in Amsterdam, Quincy Jones, Norah Jones, Gladys Knight, Diana Krall, Queen Latifah, Yo-Yo Ma, Branford Marsalis, Wynton Marsalis, Sir Paul McCartney, the McCoy Tyner Big Band, Willie Nelson, Sir George Shearing, the United States Military Academy at West Point’s Jazz Knights Big Band, the Vanguard Jazz Orchestra and the Columbus Jazz Orchestra, among many others. Christian Howes has been called “the finest, fieriest jazz violinist since Billy Bang.” He is a performer, respected educator and composer who was voted #1 in the Downbeat Critics Poll, named among the top three jazz violinists in the Jazz Times critics poll, and nominated for Violinist of the Year by the Jazz Journalists Association. Through his work as an educator, Howes twice toured the Ukraine and Montenegro under the auspices of the U.S. State Department, received the Residency Partner Award through Chamber Music America, and earned a USArtist grant through Mid-Atlantic Arts Foundation. “Southern Exposure,” his most recent recording featuring the great French jazz accordionist Richard Galliano, received considerable praise in the New York Times, Wall Street Journal, Downbeat Magazine and Jazz Times. Shawn “Thunder” Wallace is a performer, recording artist, composer, clinician and educator who holds a Master’s Degree in Music and who is an Associate Professor of Music: Jazz Studies at The Ohio State University. Wallace is skilled in classical music and is equally comfortable with traditional and contemporary jazz, and Christian music. He has been seen and heard nationally on CBS, BET, NBC and NPR. In addition to receiving recognition in Billboard Magazine, Contemporary Christian Music Magazine, and newspapers throughout the country, he is a winner of the Downbeat Magazine Outstanding Soloist Award. The Columbus Jazz Orchestra takes over the stage of the historic Southern Theatre (21 East Main Street) October 22 – 25 with Redefining Tradition: Ellington, Basie and Beyond, the season’s first Swingin’ with the CJO Series event. Directed by world-renowned band leader and trumpet virtuoso Byron Stripling, the concert features jazz violinist Christian Howes, Emmy Award®-winning keyboardist Dave Powers and saxophonist Shawn “Thunder” Wallace, and includes the world premiere of “CT Suite – Three Portraits in Blues,” written in tribute to one of America’s greatest jazz icons and frequent CJO guest star, Clark Terry. Thursday, October 22, 7:30 p.m.
Sunday, October 25, 3 p.m.
Wednesday, December 2, 7:30 p.m.
Thursday, December 3, 7:30 p.m.
Saturday, December 5, 8 p.m.
Sunday, December 6, 3 p.m.
Thursday, February 4, 7:30 p.m.
Saturday, February 6, 8 p.m.
Sunday, February 7, 3 p.m.
Thursday, March 17, 7:30 p.m.
Saturday, April 9, 8 p.m.
Sunday, April 10, 3 p.m. Audience members to JAG’s Swingin’ with the CJO and Inside Track concerts are invited to join the season’s guest artists for “Offstage at the Jazz Academy,” casual and engaging conversations that take place at the Jazz Arts Group’s Jazz Academy (769 East Long Street, 4th Floor). Learn about the artists’ background, influences, life on the road, and even what they’re listening to on their iPod. Offstage at the Jazz Academy IS FREE AND OPEN TO THE PUBLIC. Season subscriptions for Swingin’ with the CJO are available through the CAPA ticket office at 39 East State Street or by calling 614-469-0939. Single tickets for all performances of the Swingin’ with the CJO are available starting Monday, August 10 at the CAPA ticket office, all Ticketmaster Outlets (including Kroger Stores), through www.jazzartsgroup.org and www.ticketmaster.com. Swingin’ with the CJO single tickets are priced at $54 (main floor), $48 (first balcony) and $25 (second balcony). Student and group rates are also available. Jazz Arts Group’s 2015-16 season is made possible by ongoing support from the Greater Columbus Arts Council, The Westin Columbus, The Columbus Foundation, L Brands, the Ohio Arts Council, Grange Insurance, Ann & Tom Hoaglin, US Bank, State Auto Insurance Companies, Plante Moran, Sequent, Bob Evans Farms, Cardinal Health, Fahn & Denny Tishkoff, and the Reinberger Foundation. Swingin’ with the CJO is sponsored by The Westin Columbus. The Artistic Director Chair Sponsor is Ann & Tom Hoaglin. JAG’s Inside Track Series is sponsored by Sequent. Additional support for Inside Track performances and workshops taking place at the Lincoln Theatre is provided by State Auto Insurance Companies. Jazz Arts Group receives media support from The Columbus Dispatch, WOSU Public Media, WMNI AM 920 and WCBE 90.5 FM. The Jazz Arts Group of Columbus (JAG) is America’s oldest not-for-profit arts organization dedicated to producing, performing and promoting jazz. JAG is the third largest performing arts organization in Columbus and consists of four focus areas: the Columbus Jazz Orchestra (CJO), one of the world’s finest professional jazz orchestras; the Jazz Academy, JAG’s extensive instructional programs educating both students and adults about jazz and American music; Inside Track, a jazz and blues performance series produced at the historic Lincoln Theatre and beyond; and Affiliate Musicians, a program providing employment opportunities for professional musicians.